Customers are the lifeline of every business. And maintaining good relations with them is the most important activity you carry out as a business owner. Let’s get started. 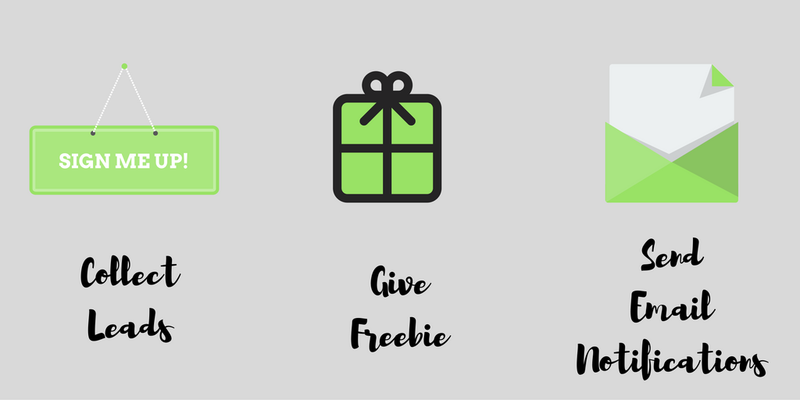 First you need to download three light weight, free plugins onto your WordPress website. I hope you’ve activated all the three plugins on your WordPress website. Now, let’s start with the first plugin – Rainmaker. Let’s call it ‘New Subscriber List’. Select the parameter like – email address, name. Rainmaker is really simple and gives you 3 elegant form designs to choose from. Next, fill in the form actions. Make sure you select the Email subscribers option. This will make sure that all the leads will automatically get added to Email subscribers database. Another important step here is, putting the URL of the page where the Freebie is loaded. Next, come to second plugin Icegram. This will help you create and design your popup ( or anyother message type you like). Fill in the message content. Make sure, you select the Rainmaker form you previously created that’s ‘New Subscriber List’. Select the pages, the device the retargeting rules etc. 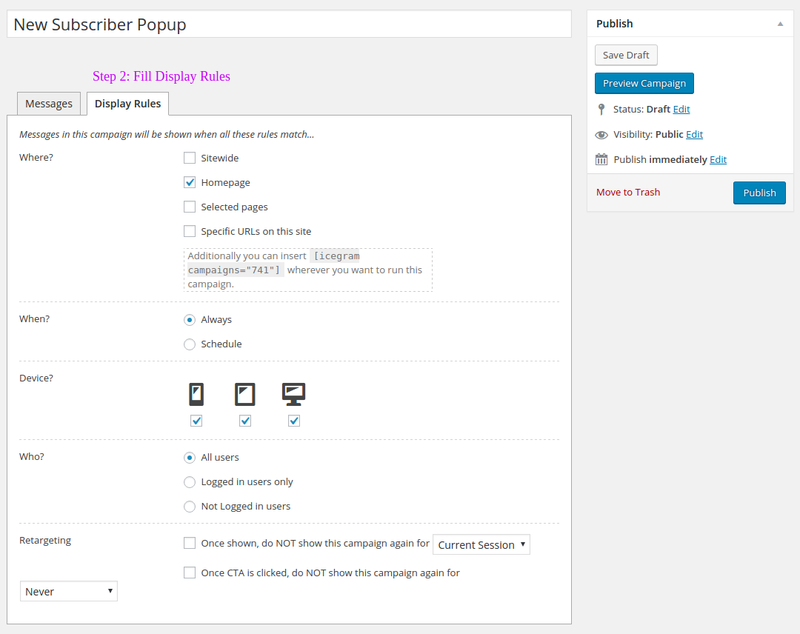 Go to the Email Subscribers plugin. 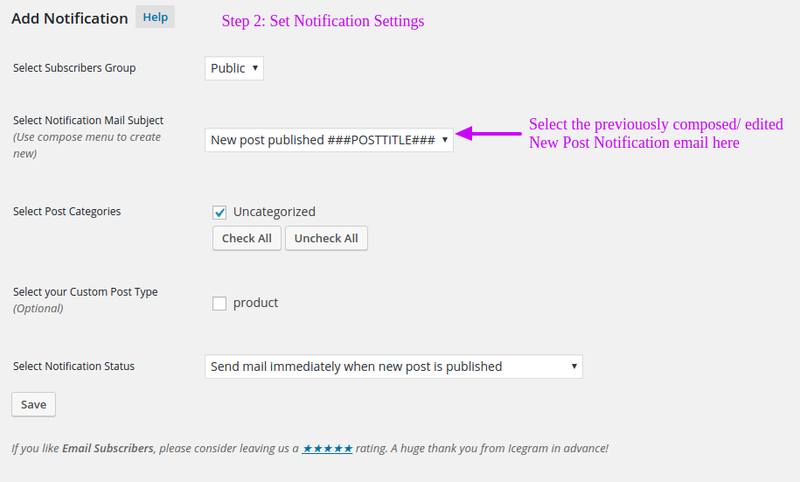 This plugin will help you create, edit, send automatic post notifications as soon as a new blog gets published on your website. Next, add a new notification. Make sure that you select the previously composed email template. In our case, the template is New Post Published. Now that, all the initial settings are done. Test the whole leads cycle. Ideally, you should subscribe to the list with a test email id, you get your freebie then go ahead and post a new blog and check if you get a notification email on the test email id. If these things are achieved, your process is working fine. Feel free to write down any questions, suggestions in the comment section below. Where is the email subscribers list stored ? Can it be accessed easily ? Do you still need an email marketing platform like aweber or mailchimp ? And you get complete functionality for free ? 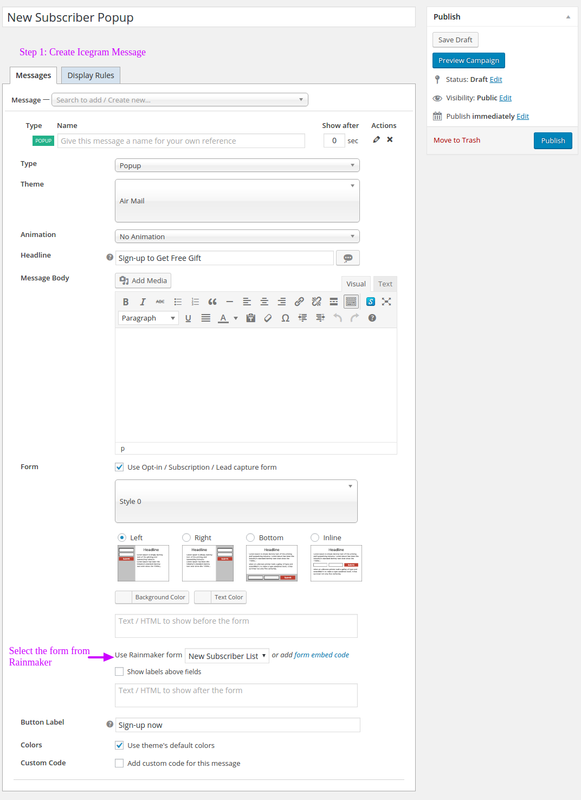 The list is stored within the subscribers dashboard that’s within your WordPress admin panel. And you don’t need any email marketing platform like Aweber or Mail Chimp. Also, yes all this is available for free. Just finished installing and editing everything. Was using mail chimp but found that there was no solid walk through like this one (which I loved!). Next, I’ll go through the whole testing phase. Just wanted to thank you for this walk through and for the plug-in itself. Super awesome so far! Thanks for the appreciation Kathia. Glad you found it useful. I have installed your plugins, however, I am having some problems with them. This too is possible. All you need to do is add the URL of the page which has the freebies to the button. So once a subscriber subscribes he will be redirected to that URL. He can then go ahead and download the freebie from that URL. If you need help with setting it up, kindly drop us a ticket on support. We will be glad to set this up for you. You can find display rule in campaign setting page. You will find display rule tab. Thank you for the detailed walkthrough on how to set this up. I have been having trouble finding a good tutorial walkthrough on how to set up a lead capture and email campaign. 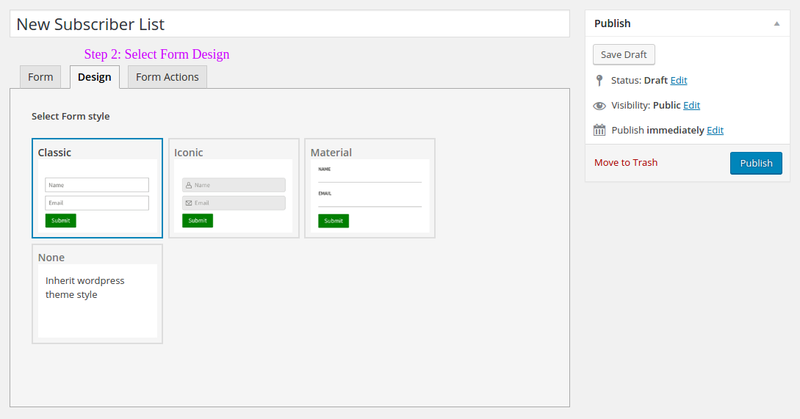 1) Can I customize the look of the subscription box beyond the basic template offered? Like change colors and font ? 2) Once my subscribers are signed up, instead of sending them notifications of a new blog post ( i am not making a blog. i am making a store ) –> Can I use these tools to send a daily or weekly newsletter that I can write and schedule ahead of time?